In an excellent piece published by the Electronic Intifada (April 28, 2016), journalist Asa Winstanley shows how media outlets such as the Telegraph, Huffington Post and the Jewish Chronicle have been complicit in the systematic attempt to disorientate Labour Party members and supporters by either printing misleading misinformation or reproducing unsubstantiated accusations and smears against individuals all of which have contributed to a false media narrative regarding alleged antisemitism within the party. Also in the piece, Winstanley outlines the links between right-wing, anti-Corbyn Labour and the pro- Israel lobby and meticulously shows how this lobby manufactured an ‘antisemitism crisis’, pinpointing the individuals involved, the tactics and dirty tricks used and the connections to individuals whose ties lead to pro-Israel groups both in London and Israel. Among the individuals Winstanley highlights are David Klemperer who opposed Corbyn’s run for the labour leadership (but has since been kicked out of the party), and former Israel lobby intern, Alex Chalmers. Arguably the most significant and influential figure behind the false claims of antisemitism that Winstanley cited in his piece, is former chief executive of the Jewish Leadership Council (JLC), Jeremy Newmark. It was while in charge of the JLC that Newmark gave evidence at a 2013 Employment Tribunal case alleging antisemitic behaviour by the University and College Union brought by one of its members. The case was dismissed by the judge in its entirety. One particularly pernicious and unfounded antisemitism accusation during the last few weeks has involved long-standing, and until recently, reinstated Labour party member, Jackie Walker, who as the result of comments made at a private antisemitism training session on September 26, was removed from her role as Vice-Chair of Momentum prompting the Labour Party hierarchy to renew her suspension from the party. Walker stands accused of four things: a) trivializing Holocaust Memorial Day, b) claiming that the threats of attacks on Jewish schools had been exaggerated, c) claiming she saw no need for definitions of antisemitism and d) commenting on the Jewish role in the Atlantic Slave Trade. Although Walker was factually incorrect about the first point by claiming HMD only commemorated the Jewish Holocaust, it’s nevertheless true that the commemoration is one in which the Jewish narrative dominates. “My aim”, Walker said, “was to argue that there are no hierarchies of genocide; there is no way to quantify or qualitatively describe the indescribable, the indescribably inhumane acts that are part of our histories”. Katz replied, “The standard definition of antisemitism is actually the European Union Monitoring Centre.” It was at this point, that several other members objected to the use of the EUMC definition claiming it had no status and was deeply flawed. Walker was objecting to a deeply flawed 500 word ‘new antisemitism’ or even ‘antisemitic anti-zionism’ definition authored by attorney Kenneth Stern, that is so wide in scope as to encompass political criticisms of Israel. The reason why it is so difficult for some people to disentangle antisemitism from legitimate criticisms of Zionism as a political ideology, is because the EUMC definition often cited by those who use it as a political weapon in order to blunt all criticism of illegal Israeli land grabs, is far too long and convoluted. Brian Klug, an Oxford academic who specializes in the study of antisemitism manages it in 21 words: “Antisemitism is a form of hostility to Jews as Jews, where Jews are perceived as something other than what they are”. Klug’s far more reasonable definition is almost certainly something Walker, and many other anti-Zionists, would be willing to work with. The attacks on Walker (as well as many others in which similar accusations of antisemitism have been invoked), appear to be emblematic of a much bigger problem that goes to the heart of UK-Israel relations. On the surface, the implication appears to be that antisemitism is more prevalent within the Labour Party compared with other political parties in Britain. However, the notion that incidences of antisemitism are more widespread in a party which historically has been at the forefront of anti-racist and anti-fascist campaigns, does not stand up to scrutiny. How about the claim that antisemitism is more prevalent compared to other forms of racism in British society? Again, the answer is a negative. A 2015 survey by Pew for example, found that seven percent of the UK public held “unfavourable” views of Jews. By contrast, about a fifth held negative views of Muslims and almost two-fifths viewed Roma people unfavourably. In the aftermath of the massacres in Gaza in 2014, the London Metropolitan police recorded 358 anti-Semitic offences. Two hundred and seventy three of these were online, 36 involved criminal damage and 38 constituted “harassment”. Eleven cases of assault were recorded in which four resulted in personal injury. One hundred and eighty thousand offences in these categories were recorded within the wider population throughout Metropolitan London. In other words, attacks against Jews in 2014 against a backdrop in which Gaza was being pulverized, made up only one in 500 of the total, while they made up around one in 86 of the population of London as a whole. Community Security Trust (CST) figures for the first six months of this year show a rise of 15 per cent above those from the previous year. But this is from an extremely low base. The actual number of such incidents recorded for the first half of 2016 was 557. And that figure is still below that for 2014 when the Israeli assault on Gaza occurred. So claims that there has been a ‘surge’ in antisemitic incidences in recent years are false and misleading. In response to a moral panic about ‘left antisemitism’ seemingly expanding without limit, a loosely-knit group of Jewish Labour Party supporters called Free Speech on Israel coalesced for an inaugural gathering in April. The fifteen-member group, which included Emeritus Professor of Operational Research at the London School of Economics, Jonathan Rosenhead, found that over their lifetimes they could muster only a handful of antisemitic experiences between them. And, crucially, although in aggregate they had hundreds of years of Labour Party membership, not a single one of them had ever experienced an incident of antisemitism in the party. Netanyahu outwardly expressed this Jewish-Zionist conflated racism when he attempted to shift the blame for the Holocaust from Hitler on to the Grand Mufti. From the Zionist perspective, this makes sense given that Muslims are the joint enemy of both the European far-right and their Zionist allies. Zionism is threatened from within, so Israel needs a new influx of Jews in order for the Jewish state to survive in its current form. Indeed, antisemitism is the flesh and blood that Zionism and all related industries and institutions connected to it feed off in order for them to be able to continue justifying both their and Israel’s existence. The implied racism inherent in the notion that there is a correlation between Zionism and Judaism, is offensive to the silent majority of Jews who want nothing to do with the supremacist, racist state. The UK government is losing the moral high ground by seeking to quash anti-Israel boycotts and prevent legitimate political activism more generally. Ultimately, it has to be a legitimate course of action in a democracy for a group of people to be able to pass a resolution condemning a country because they are opposed to its political values. The cynical attempts of right-wing Zionist elements within the hierarchy of the Labour Party to drive a wedge between traditionalists and Blairites, using the specter of antisemitism as their ideological weapon, is an obvious smokescreen as a basis in which to discredit all legitimate support for the Palestinians by influential or prominent figures both inside and outside the Labour Party. The deliberate misrepresentation of the views of Craig Murray by Zionists at the forefront of the anti-Corbyn campaign, is an example of this. The appointment of the ultra-Zionist Mark Regev to the role of Israeli ambassador to the UK, arguably set in motion the failed Corbyn coup attempt in which the openly hostile anti-Corbyn figure John Mann, initially operated as the Zionists principal henchman. It was therefore unsurprising that Mann and the JLM, among others, praised the Commons Home Affairs Committee (CHAC) report ostensibly into antisemitism published a few days ago which all reasonable observers perceive as nothing other than a biased political weapon with which to attack Corbyn’s leadership. “The report unfairly criticises Shami Chakrabarti for not being sufficiently independent. This fails to acknowledge public statements that the offer to appoint Chakrabarti to the House of Lords came after completion of her report, and was based on her extensive legal and campaigning experience. The pro-Israel lobby, who have a significant financial stake in the Labour Party and whose influence spreads throughout the British political establishment more generally, clearly see Pro-Palestinian Corbyn as an anathema to their wider interests viz a viz Israel. Certainly the Hasbara propaganda web site, UK Media Watch, regard the witch-hunt against Corbyn, as well as the attempts by his detractors to disorientate the membership, as ‘a job well done’. Politically, the purpose of the misuse of antisemitism by Zionists is to quash all legitimate criticisms of Israel, its oppression of the Palestinian people and, by extension, Muslim/Arab nationalist aspirations more generally. 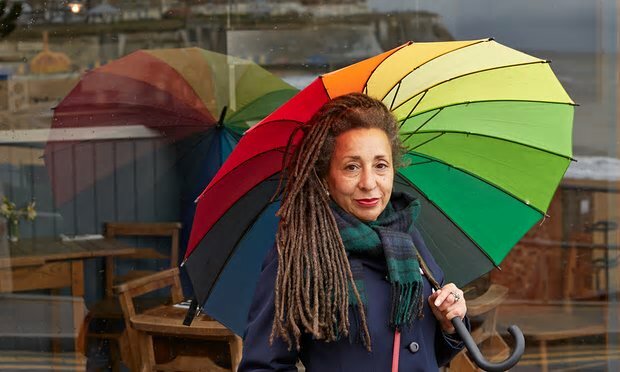 The attacks on Jackie Walker and others are political and represent a determined effort by the Israel lobby to make Britain’s Labour Party safe for Israel and Zionism. Ultimately, the contrived ‘antisemitism crisis’ within the party is outflanked by the far greater problems it has with modern day Zionist aspirations which are never addressed. Israel’s ‘friends’ within the Parliamentary Labour Party (PLP), for example, continue to remain silent about the illegal ongoing dispossession of Palestinians from their land and the historical Zionist programme of ethnic cleansing of which Plan Dalet, the Koenig Plan, Operation Cast Lead and Operation Protective Edge are historical manifestations. Ultimately, the real target of the Zionists is not Jackie Walker, but the prospect of a Corbyn-led UK Labour Government, which the Zionists view as a very real threat to their Eretz (Greater) Yisrael project of a territory stretching from the River Nile to the River Euphrates. All original material created for this site is ©Daniel Margrain. Posts may be shared, provided full attribution is given to Daniel Margrain and Road To Somewhere Else along with a link back to this site. Using any of my writing for a commercial purpose is not permitted without my express permission. Excerpts and links, including paraphrasing, may be used, provided that full and clear credit is given to Daniel Margrain and Road To Somewhere Else with appropriate and specific direction to the original content. Unless otherwise credited, all content is the site author’s. The right of Daniel Margrain to be identified as the author of this work has been asserted by him in accordance with the Copyright, Designs and Patents Act 1988. I realise the damaging effects that has been inflicted upon the leadership of the UK Labour Party under Jeremy Corbyn MP. However I do not flinch or shy away from Netanyahu’s main philosopher of disruption in the UK that being Mark Regev . I intend to totally dispute his obvious agenda starting from North Wales ! Hopefully with the help of a few choristers & the wandering bards in Abergele in North Wales . Brave man. This article just laid it out for it is and I realise that I am not mad for having these suspicions. Nor should I or anyone else feel bullied into NOT talking about ME issues. Thanks. Thanks Joanna. I don’t even regard the issue to be in anyway controversial to tell you the truth. Zionism seems to be somewhat of a taboo topic and it shouldn’t be. Well researched and informative. Thank you. Thanks Alison. I’m glad my time is not completely wasted. « Who are the White Helmets & what is their role in Syria?